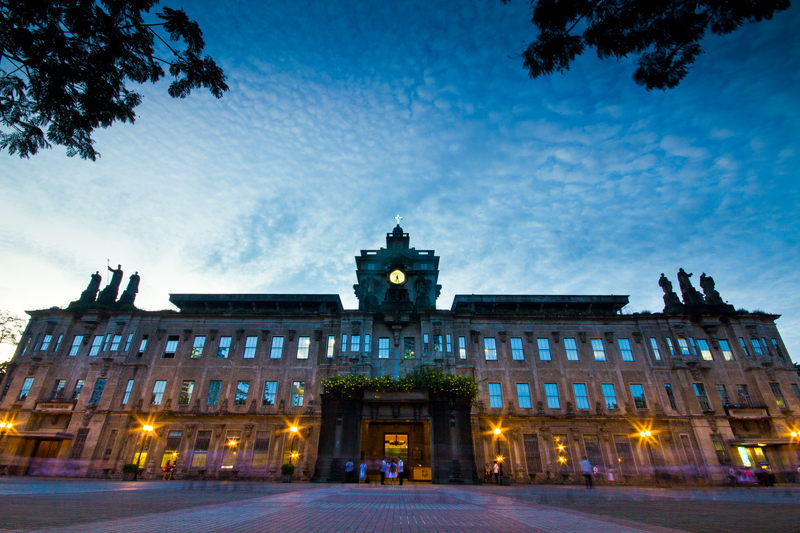 The oldest university of the Philippines and in Asia that was founded on April 11, 1611 by Reverend Father Miguel de Benavides. Originally opened as the College of Our Lady of the Rosary - the university has been bestowed the title "Royal" by King Charles III of Spain 8n 1758, while Pope Leo XIII granted the title "Pontifical" in 1902. Located originally in Intramuros, it was only transferred to its present site in 1911. The university has 3 ecclesiastical faculties, namely: Theology, Canon law and Philosophy. There are 12 colleges and faculties as well. Owned by the Spanish Dominicans which is governed by the Board of Trustees. Until the late 19th century, the university only accepted students od Spanish parentage. Women were first admitted in 1927. UST campus served also as an interment camp for American, British, Canadians and other allied nationals by the Japanese Occupation Forces from January 1942 - February 1945. More than 10,000 people were imprisoned although it never held more than 4,000 at one time. From T.M. Kalaw St., hail a PUJ for "Fairview". Get off right in front of the university along España. Travel Time: Approximately 25 minutes.